We do signs a little differently here in Ireland. The Irish humour is another breed and this sign on a pole in Portlaoise is testament to that. Reddit user, TR1PL1OS, claims to have spotted the notice in the County Laois town. 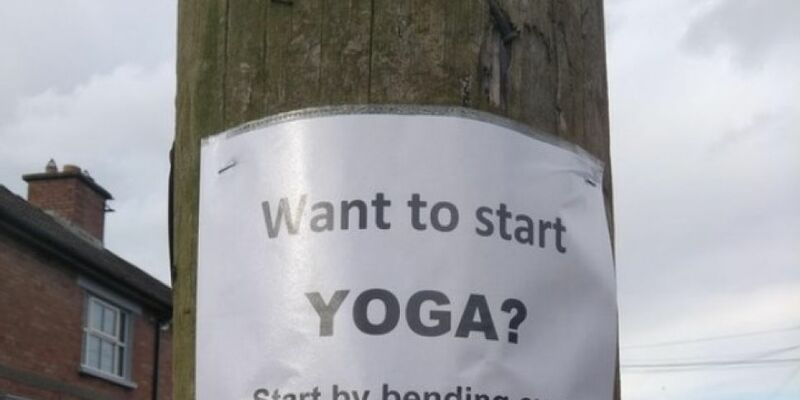 Now, would that fall into Bikram or Vinyasa yoga?